Frontiers presents an exclusive interview with Sebastian Loth, part of the Psycholinguistics research group at Bielefeld University, Germany. Sebastian is a member of the EU-funded JAMES project (Joint Action for Multimodal Embodied Social Systems), formed to further research into social robotics and human-robot interactions. How did you first get interested in social robotics? Social robotics investigates the predictability of social behavior, asking which signals are most informative for understanding behavior. I started with a degree in Linguistics and Informatics and then moved on to a PhD in Psychology with a focus on visual word recognition. From there it was clear that social robotics and psycholinguistics are related on an abstract level. For example, in visual word recognition you might be interested in the predictability of letters. In social robotics, “letters” are events, behaviors, signals and so on. However, the question of how predictable certain events are and how they relate to other events is similar. This is interesting, because the ability to anticipate and rely on expectations is fundamental to the human condition. Exceeding or falling short of expectations is what defines a success versus a failure. This makes it very intriguing to understand how expectations are formed and how they manifest. What are you hoping to achieve in the long term with the JAMES project? The aim is to make technology accessible to – and usable by – everyone. This is essential with the ever-increasing presence of technology in daily life. Today, technology requires the user to adapt to its interface: a ticket machine comes with a specific dialogue system that remains the same, rain or shine. This can create difficulties for certain situations or populations. When people then get frustrated and attribute system failures to themselves, believing they are “too stupid” to operate it properly, they become excluded from patterns of modern life. JAMES is turning this upside down. We started by analyzing natural human behavior and then design the robot to understand it. We hope to contribute to making increasingly easy-to-use technology. This study focused on one particular situation in which a robot would have to discern social interaction cues. What previous research led to asking whether it would be possible to have a robot bartender? Current machines require a cue to recognize users, like pressing a button or calling dialogue system. However, this does not reflect natural behavior. When two people meet in the hall, one does not press a button on the other’s back to announce the desire to talk. Previous attempts to account for this used eye trackers – which impractically have to be calibrated to each user or failed. One robotic receptionist measured the distance to people nearby, resulting in many uneasy passers-by who were greeted unnecessarily. In contrast, we aimed to recognize and correctly interpret social signals in a particular setting. We selected the bar as a test bed, because there is a clear measure of success and easy-to-recognize behaviors that people naturally produce. There are numerous (potential) customers in a noisy setting, both as individuals and in groups. The robot then has to identify individual intentions and finally queue customers properly. How do studies of social cues and technological innovation work together in the design and implementation of such projects? Understanding human behavior is key for selecting appropriate sensors – laser sensors, cameras, microphones, etc – and determining what data should be extracted. Do we need to identify gestures? If so, is it sufficient to know that somebody gestured or do we need to understand the gesture itself more specifically? The robot must eventually identify these crucial signals and then base its decisions and actions on the corresponding human behavior. Eventually, this system works with easy-to-recognize signals and produces the resulting prototypical social behavior. Determining the necessary components of communication is a real challenge and limits social systems to specific tasks. However, working on this is personally rewarding, because it can make technology so much more approachable. This is an asset, as it can impact daily life while also contributing to the basic scientific understanding of skills in human communication. As the ability to process social cues continues to increase, what new tasks might robots be capable of in the near – and not-so-near – future? Robots will broaden their domains step-by-step. Machines are currently used in specific areas of the service domain, like vacuum cleaner robots or vending machines. With the mastery of short-term social interactions more complex tasks will become possible. Robots serving as the socially and physically graspable interface (or “remote control”) for more specialized machines could become available in the near future. However, true “companion robots” and understanding complex concepts like irony remain in the distant future. Personally, I am looking forward to technology that makes users feel as if it understands her or him. This will make it very easy and effective to control robots – even though they are heavily complex pieces of engineering. Once we understand how communication works, making technology easier to use will be based on a set of comparably simple rules. 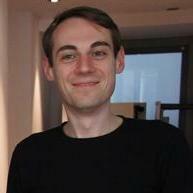 Sebastian Loth is part of the Psycholinguistics research group atBielefeld University, Germany. Sebastian is a member of the JAMES project (Joint Action for Multimodal Embodied Social Systems), formed to further research into social robotics and human-robot interactions. Sebastian and colleagues published a paper titled Automatic detection of service initiation signals used in bars, in the open-access journal, Frontiers in Psychology. It received media coverage from Scientific American, CNN, The Telegraph,Huffington Post, The Week Magazine, GizMag and many other leading media outlets. You can follow the work of Sebastian Loth on the Frontiers Research Network. This interview with Sebastian was conducted and edited by Amanda Baker, Journal Coordinator at Frontiers.